At Normandin Chrysler Dodge Jeep Ram FIAT’s San Jose collision auto body shop, we make use of all the newest technological advances in repair and servicing and couple them with our undying commitment to being the Bay Area’s oldest and best dealership. We are one of the few dealerships with a full service body shop conveniently located just behind our showroom. Not only will we service your Chrysler, Jeep, Dodge Ram or FIAT, but we’re proud to service ALL makes and models. This has allowed us to serve countless Bay Area residents over the years. We’ll work with most all insurances and offer a lifetime guarantee on all work performed (which really means a lot coming from a dealership serving people for well over a century). We’ll handle everything while keeping you updated on our repair progress. 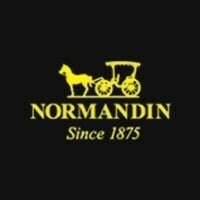 You’ll leave Normandin’s with a safe, fully functioning, clean vehicle and peace of mind having left us to take care of your insurance claims. We even have great relationships with Hertz and Enterprise so you can stay driving in the meantime. Use our online form to schedule an appointment, contact our auto body shop at (408) 463-6669 or visit us in person at 900 Capitol Expressway Auto Mall, San Jose, CA 95136. Please feel free to contact us for any questions about vehicle care or advice. We are the San Jose auto body center of choice because we are fully committed to your satisfaction. We’ll get you back on the road quickly, safely and easily. We’ve proudly helped customers from the greater Fremont, Santa Clara, Sunnyvale, Milpitas, Morgan Hill, and throughout the Bay Area. Visit us today to have your vehicle on the road in no time!